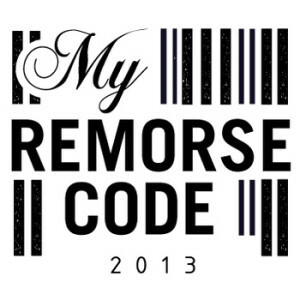 My Remorse Code publicity shot from Reverbnation. I do love a girlie vocal over frenetic drumming and shredding guitars. Come on, who doesn’t. As long as she doesn’t overdo it and start screaming. Well not too much anyway. And vocalist Carrie has the balance just right. It was a comment on this blog by Megan, the guitarist in “My Remorse Code” that alerted me to them, with a link to their Reverbnation page. I didn’t get around to doing anything about it at the time. not sure why, but presumably I was busy and then forgot to come back to it later on. To be fair she did post on my birthday. That could explain it. Here’s their current (debut) e.p. on Bandcamp, for your listening pleasure. As always I would suggest that you pay something for the download, or if you really can’t, then me sure to spread the word about the band to your friends. As well as sounding pretty damn impressive they are also a very good looking band. Not in the sense of airbrushed perfection but of natural good looks combined with the (and please don’t take this to be as patronising as it sounds) ethnic and gender diversity. Not that it should matter. It shouldn’t even matter if they were all hideous hunchbacks in hessian sacks so long as the music is good. But we are so far into the video age that most fans of new music weren’t even born when the radio was the most important medium. My Remorse Code on stage at “Bottom Lounge” Chicago. Megan furthest away, Alex obscured behind Carrie, Alvin just visible behind Javi’s leg. Well anyway the music IS good. “Humor Me” (track 2) has what sounds like a keyboard solo (but it could easily be guitar) that makes me want to hit rewind and hear it again. There are some really classy guitar arpeggios and lovely dynamics in, for example, “Midwest Meltdown“, the closing and title track. The vocals are excellent, not screamed but delivered with power and passion as they should be. A little bit raw in places but that’s part of the charm. Good solid drumming, not pedestrian but not overpowering either, backs up the whole; not forgetting the bass, which I must confess I only tend to notice by its absence, for which I apologise to all those lovely bass players out there. As well as Bandcamp, you can find My Remorse Code on Soundcloud where you can also hear and download the e.p. They have a Facebook page and there are also links to Reverbnation There isn’t an official Youtube yet although I did find some live video the sound quality was not good enough to share it with you. 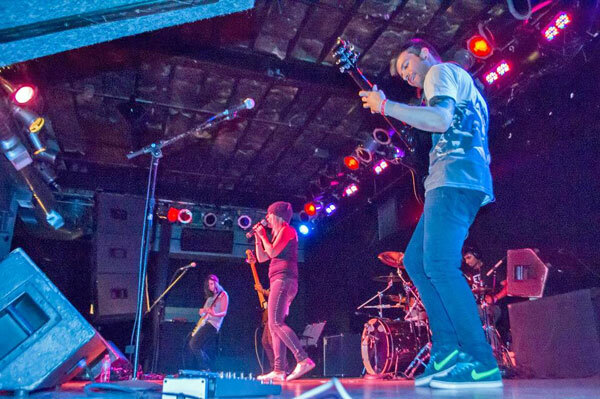 ‹ Lemonhaze – here’s a surprise, it’s a band!